Yesterday, Coopers brewed a pale ale. And you’d be right. Except this pale ale wasn’t the familiar green-labeled Coopers Pale and the batch wasn’t their usual 85,000 litres, but a mere 1200 litres. What’s more, instead of using just Pride of Ringwood, the rather old school hop used in Coopers Pale, it featured that variety plus Cascade (for bittering) as well as Galaxy and French variety Triskel for flavour and aroma. Perhaps most crucially of all, it was brewed with a unique crop of barley. 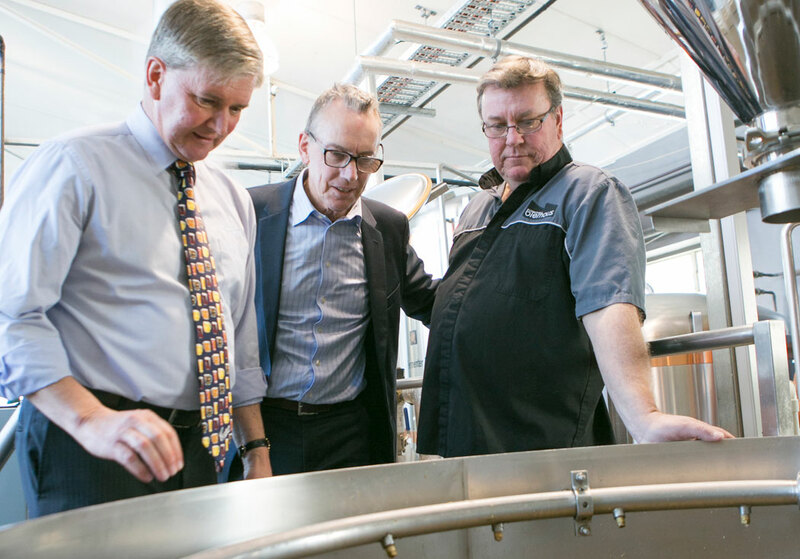 And, last but not least, it was the first time in its 152 year history that the largest Australian-owned brewery has ever collaborated with another brewer. Their partner in this experimental brew was Alistair Turnbull (above right admiring the malt in the mash tun on brew day) from Lobethal Bierhaus, who had first met Tim Cooper (above left) at a beer industry conference before he’d even open the doors to his venue in the Adelaide Hills. And he wasn’t the only partner in the venture, as the original instigators of this unique brew were the people at the Botanic Gardens of South Australia. They had grown some Navigator barley as part of an ongoing mission to highlight the connection between nature, agriculture and what we consume, and had approached Coopers to sponsor the project. Given the amount of barley being produced, it “wouldn’t touch the sides” of Coopers' brewery, according to brewery operations manager Nick Sterenberg, so they approached their friend in the Hills and the first collaboration in 152 years of unbroken brewing was born. “We grew this barley in the Botanic Garden to bring home to people the connection between agriculture and what we all eat and drink,” explains Nick. “Last year, the Botanic Garden grew wheat and used that to make some artisanal pasta. This year, they grew barley and asked us to sponsor it and we said we should try to turn it into beer. The barley â a variety developed by the University of Adelaide – was malted by Joe White before being transported to Lobethal, where Al and a couple of brewers from Coopers used it to create a pale ale more in the New World tradition of the one Lobethal brews year round. Dr Tim Cooper said: âThe amount of barley available was too small for us to process through our brewery, so we looked for alternatives and our friends at the Lobethal Bierhaus had the right equipment for the job. 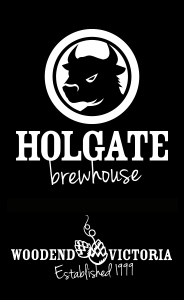 âWe approached them about collaborating with us on the project and Alistair Turnbull, the owner and brewer of the Lobethal Bierhaus, was happy to help." He certainly was, describing the people he has come to know at Coopers over the past eight years as part of a business that “really does behave like a family”. While that may remain a pipe dream, being chosen as Coopers' first brewing partner is no mean feat and follows his multiple collaborations with the Yeastie Boys and The Wheaty – not bad for someone whose father warned him off becoming “a drunk’s labourer” and who spent 20 years in the world of banking before following his brewing dream. The beer, called Botanic Ale, will be available in keg and bottle from October 29 at Lobethal Bierhaus and the bar at the Adelaide Botanic Garden, with proceeds going to the Botanic Gardens, whose director Stephen Forbes (above centre), said: âOur visitors watched the barley crop grow, experiencing agriculture in the heart of the city, and through the production of Botanic Ale are able to make the link between cultivating a crop and creating a great product." But will it lead to further collaborations by Coopers? “There’s no plans to do any more collaborations,” says Nick. “We’ve always been a friend to the craft brewers and microbreweries â those who are the more genuine ones. We are all fellow brewers and we all want to help them prosper.